Why Choose our Shipping Container Structures? Get your projects on-time and on-budget. Stay up to date on your container's progress. Leverage our years of experience and industry knowledge. 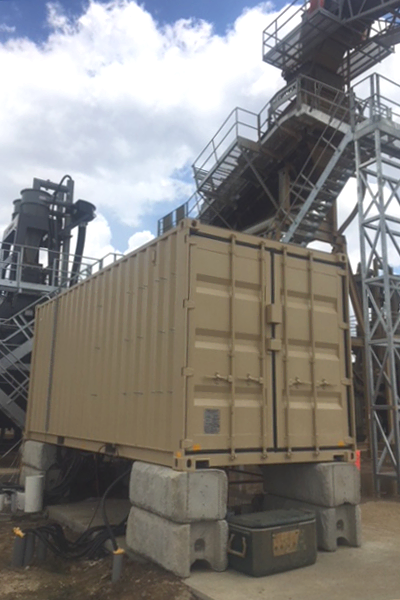 Armed with a deep understanding of each project’s goals, challenges and deadlines, Falcon’s team delivers a shipping container solution unique to your business’ needs--on time and on budget. 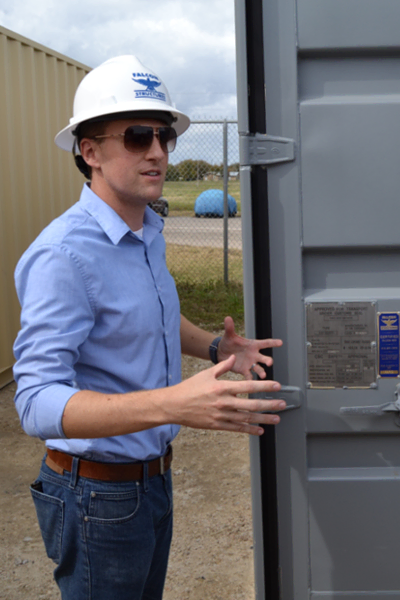 Since 2003, we’ve helped businesses in a wide range of industries discover how modified shipping container structures provide an affordable and dependable solution for mobile storage, offices, living space, and industrial equipment enclosures. As the holders of ESR 4163, Falcon Structures can manufacture modified shipping containers approved by the ICC for use as building materials. What Does "Think Inside the Box ®," Mean to Us? It comes down to asking ourselves what exactly a shipping container is. On one hand, it’s a just a steel box. On the other, it’s an opportunity to build something new. The remarkable strength of its frame and the security of its corrugated walls can become the basis of everything from apartment complexes to pantry space for food banks. When a customer comes to us with a problem, we “Think Inside the Box®” and remember the incredible diversity of solutions offered by ISO containers. -City of Round Rock, Texas. See more testimonials. Falcon Structures is your best choice for exceptional service, industry knowledge, and on-time delivery. We have experience working with a wide range of industries and take pride in our ability to create and deliver shipping container solutions for a broad range of needs. Our professionalism, reliability and quality have made us a trusted, respected supplier to a large number of the most recognized brands as well as all branches of the military. Having worked with all major military branches to create complete training facilities and safe storage solutions, we take pride in serving those who honor and protect our country through the armed forces. Modified shipping containers provide a safe, secure and dependable solution for storage, equipment protection, portable work space, and temporary housing. Converted ISO shipping containers provide numerous benefits for businesses thanks to their superior mobility and durability. The 16-gauge corten steel shipping container walls make them ideal for keeping equipment safe from theft and weather. Standardized sizing, built-in forklift pockets, and corner casting built for crane rigging facilitate easy transport. 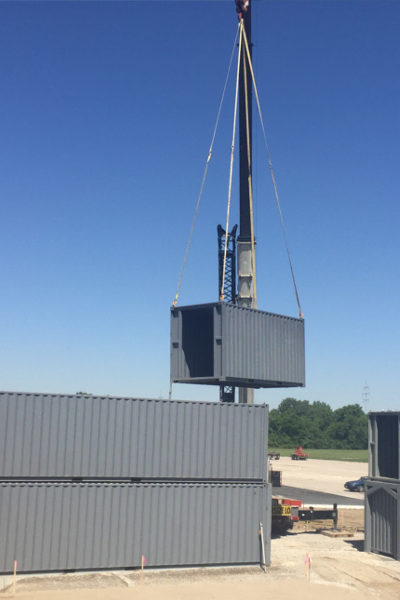 Our customized modified shipping container solutions can be placed on a flat, dry surface with absolutely no need for a foundation to support the steel floors. These features reduce costs and provide peace of mind for business leaders. Unlike other storage and work space solutions, Falcon Structures’ standard product line can be delivered directly to your job-site in a matter of weeks. Our catalog offers a number of options including modified shipping containers with roll-up doors for easy storage access, insulation and climate control for mobile offices, utility openings for plug-and-play equipment enclosures, and much more. If your business has a specific need, Falcon is happy to work with you develop a cost-effective custom shipping container solution. Look over our business solution case studies. Contact us online or by phone at 877-662-8454. Our modified shipping container experts will be happy to discuss how we can help your business. Reach out today!